Reds are the hardest to photograph since red has the longest wavelength and is is the first color to be absorbed. 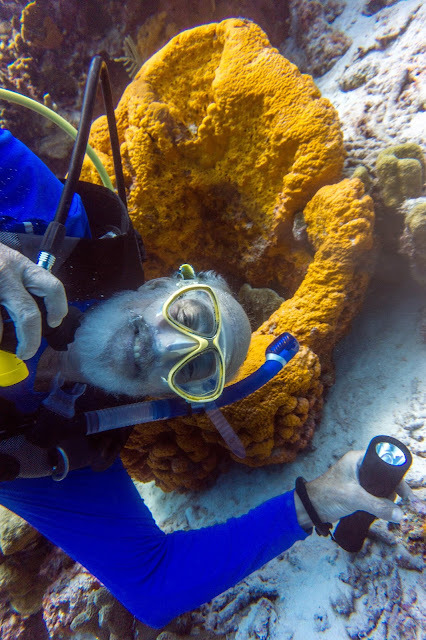 Even 5 feet underwater reds appear less red and get bluer the further down you go. The next to be absorbed are orange and yellow, in fact the colors are absorbed in the order of the rainbow. 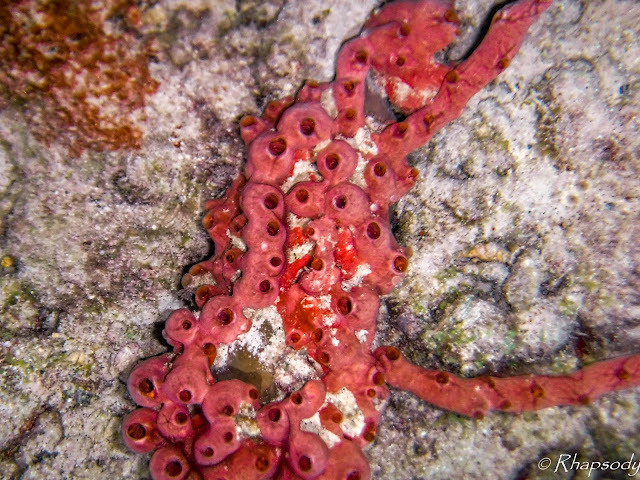 This red sponge has the lovely name of Lumpy Overgrowing Sponge. It is usually on the pinker side. 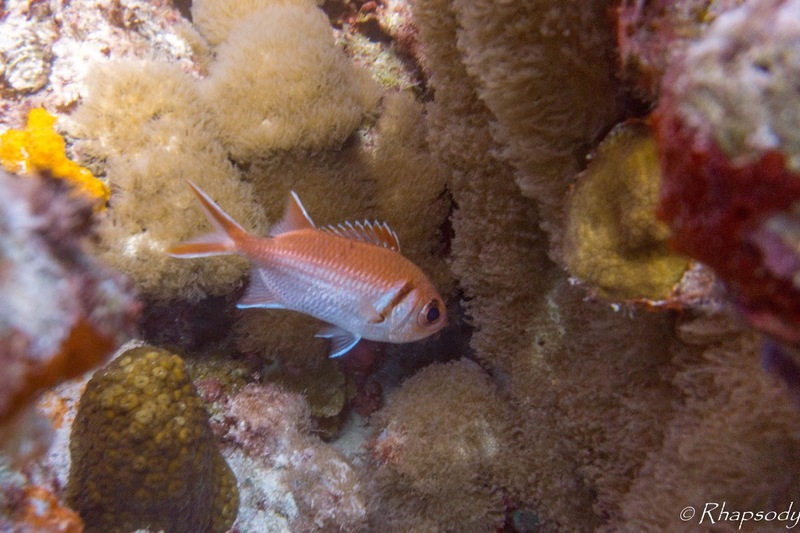 The Soldier fish shown above is in a family of reddish/orange fish, usually with very large eyes watching us from under rocks and crevasses. 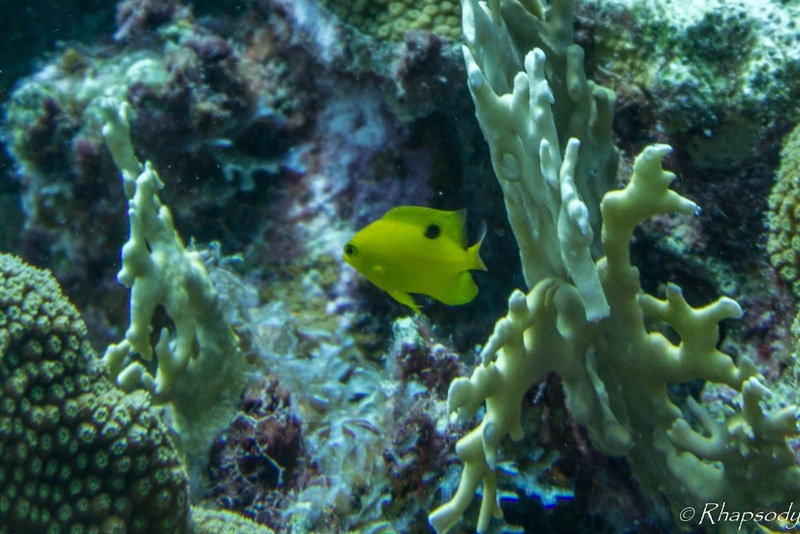 Yellow fish stand out beautifully in this watery blue world. 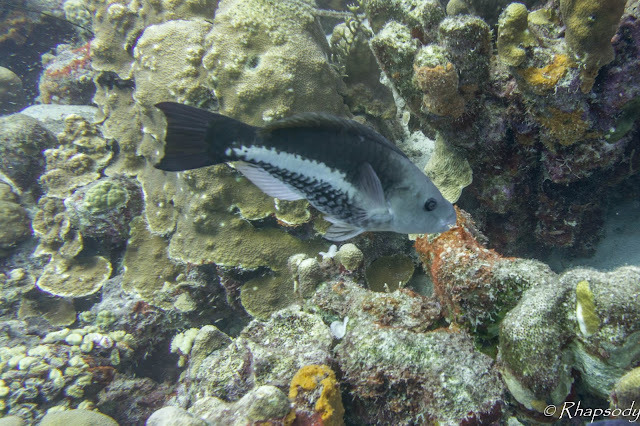 This is a juvenile Threespot Damselfish. Green fish and corals are not very common here. 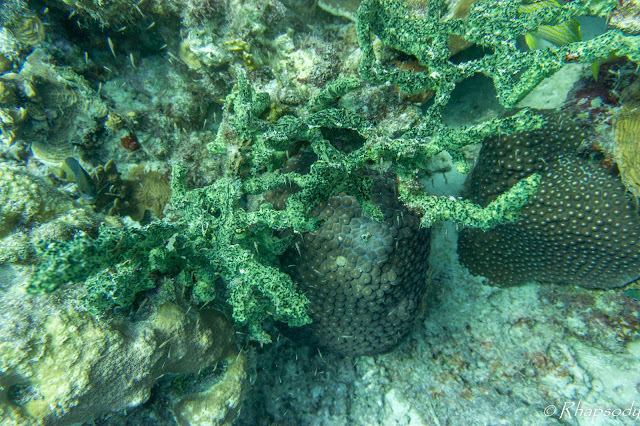 This is the Green Finger Sponge. And then there is blue. Certainly no shortage of blue creatures! There are very few blue corals, and my best guess on the name of this one is Blue Crust Coral. 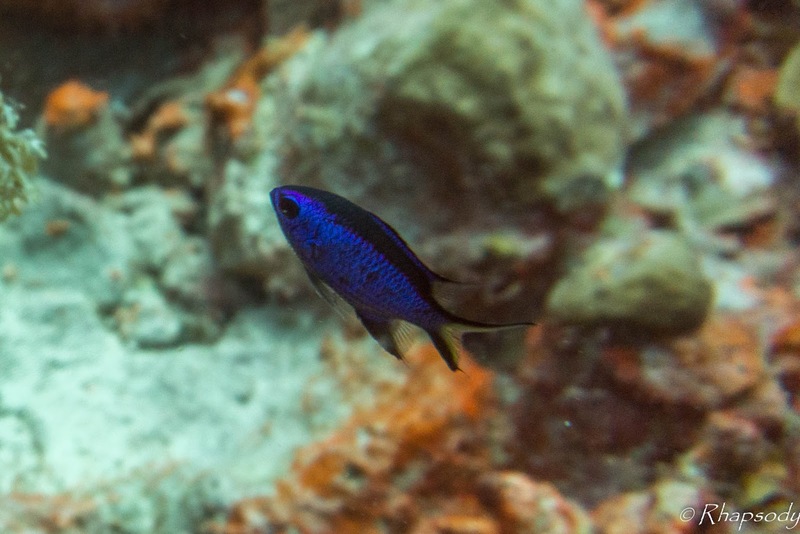 One of my favorite blues underwater is the electric blue of the Blue Chromis. 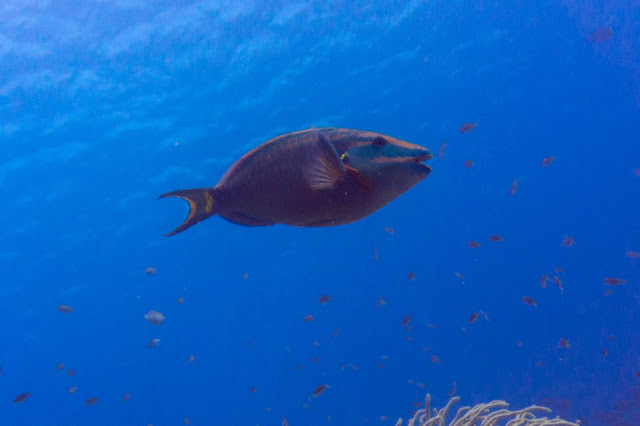 I enjoy watching large schools of them flashing their blue scales in the sunlight. The Blue Tang are pervasive here, usually in large schools. I like the way the shadows are falling on this one. 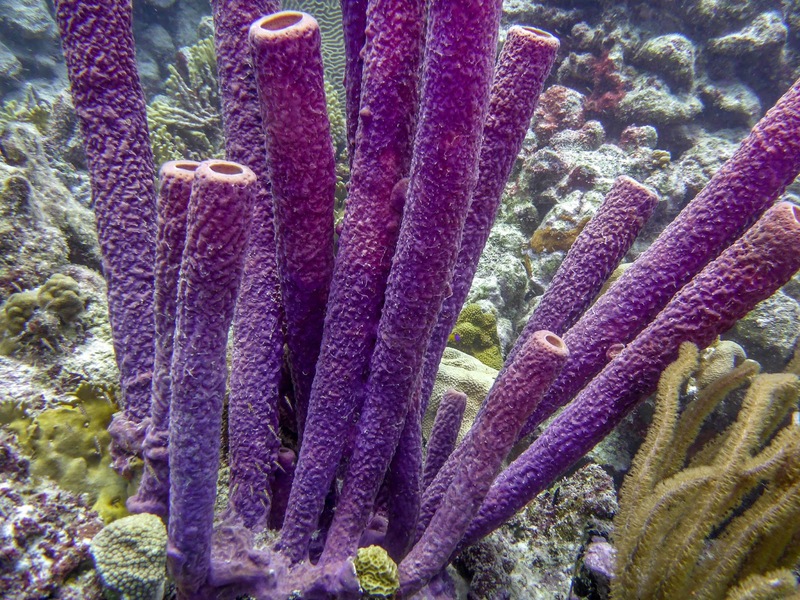 And rounding out the rainbow are these purple tube sponges. 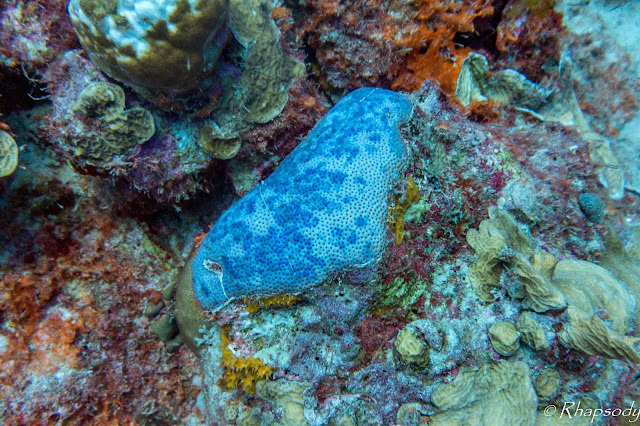 Tube sponges come in a variety of colors here, purple, yellow, and brown. Some of the largest are the purple ones. ...although they don't get their colors until they are older, this is a parrotfish in its intermediate phase. 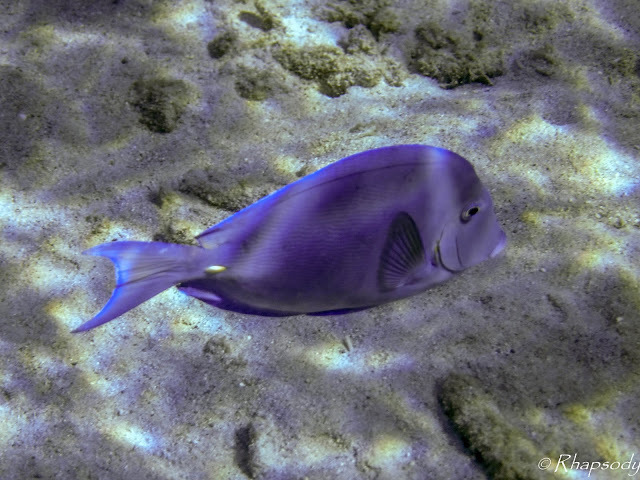 Always a joy to see the colors and variety underwater!